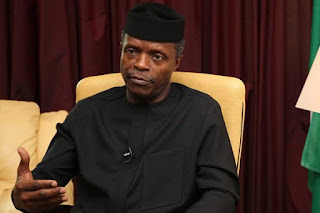 Vice President Yemi Osinbajo has revealed why President Muhammadu Buhari is not talking about seeking reelection in 2019. The Vice President said his principal was more focused on delivering his campaign promises to Nigerians than talking about 2019 general election. This is coming at a time when former President Olusegun Obasanjo advised Buhari to resign due to his inability to govern Nigeria.